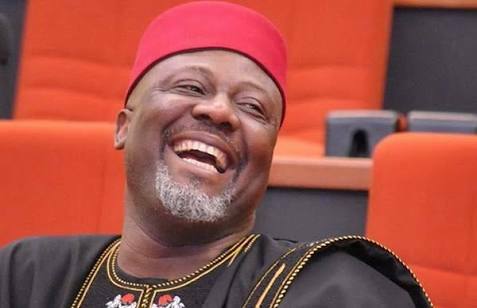 Senator Dino Melaye was on Tuesday affirmed as the Peoples Democratic Party (PDP) flag bearer for the Kogi West Senatorial District ahead of the 2019 general election. While four other contenders in the race were not cleared by the party screening committee, two others stepped down for Melaye, who just returned to the party. Those who stepped down for Melaye were former commissioner of local government and chieftaincy affairs, Tolorunjuwon Faniyi and the lawmaker representing Kabba/Bunu/Ijumu federal constituency, Hon. Tajudeen Yusuf. Those not clear for the primary included Sunday Karimi, member representing Yagba federal constituency, former acting governor of the state, Clarence Olafemi, Henry Ojuola and Ganiyu Salaudeen all from the Yagba federal constituency. The primary was conducted at the Prestige Hotels in Kabba. The Returning Officer for the exercise, Mr. Jude Sule said that Melaye scored all the delegates’ votes from the seven LGAs of Kogi West. The exercise which was peaceful was monitored by the Independent National Electoral Commission (INEC) and security personnel.